When I started going back and playing the old Persona games, I didn't realise how much more they'd make me appreciate Persona 5. Persona 5 takes a large amount of its influence from older Persona games in the series but makes what it takes way better, making Persona 5 still feel like a Persona game but at a higher than ever quality. The Persona series has a few key themes, such as the use of Demons/Personas, rumours and the social aspects that make Persona unique to its source material Shin Megami Tensei. Persona 5 takes what it can from its roots, whether intentional or not, and in my opinion masterfully succeeds in weaving them together into a fantastic experience of its own. Here are some of the things I noticed from other Persona games that may have inspired Persona 5 and how Persona 5 usually makes them way cooler. I'm currently playing Persona 2 on my Vita (at a snail's pace) and one of the first things I thought was really unique about it was its rumours mechanic. 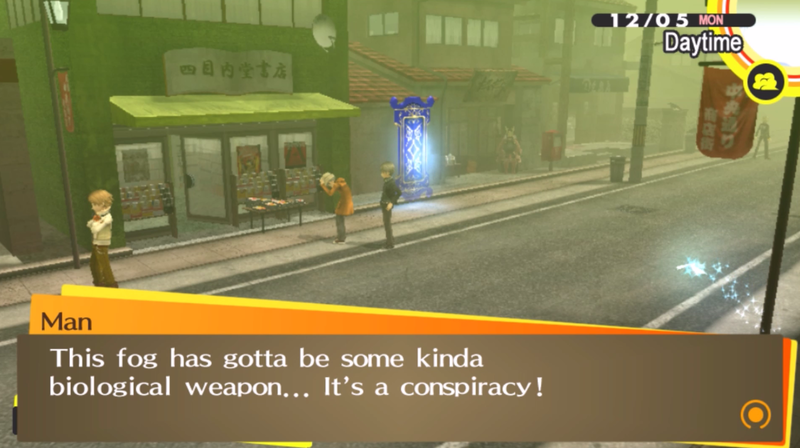 This rumours mechanic made me realise how rumours play a strong role in most Persona games, with most stories starting with a rumour, such as the Midnight Channel one in Persona 4 Golden. Rumours are also an integral part of Persona 5, as they often lead the Phantom Thieves to their next target and directly affect their credibility as a group. While Persona 5 may not feature a whole mechanic based around making rumours like in Persona 2, they impact the story in interesting ways and the story wouldn't be the same without them. Since I played Persona 2 after playing a bit of Persona 5 in Japanese, I was surprised to see a Demon Negotiation System in it as well. 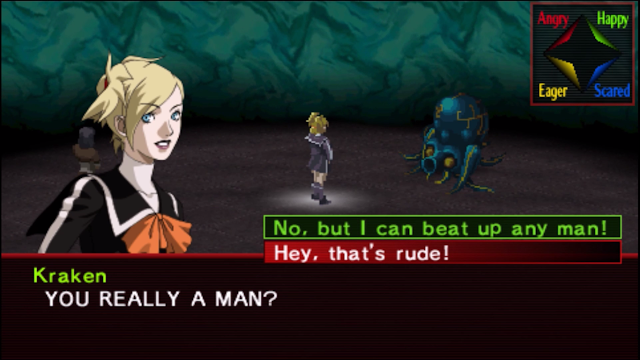 Persona 3 and 4 didn’t feature Demon Negotiation, so it’s interesting to see a throwback to this in Persona 5. Persona 5 does the demon negotiation system so much better than Persona 2 however, by making it feel more like an extension of its social mechanics more than anything else. Persona 2’s Demon Negotiation system usually lets players do one basic action to gain a demon’s trust and potentially spur a conversation with one, while Persona 5 offers the conversation from the get-go, adding to the social nature of Persona and making for some amusing mid-battle conversation. One of my favourite dungeon experiences in Persona was Persona 3’s Tartarus, a massive dungeon that was the focus of Persona 3’s dungeon crawling elements and featured randomised floor layouts to keep things interesting. While Persona 5’s main dungeons feature a set dungeon layout, there is the sub-dungeon Mementos that brings the randomised layout element back in for side-quests in a fun new way. 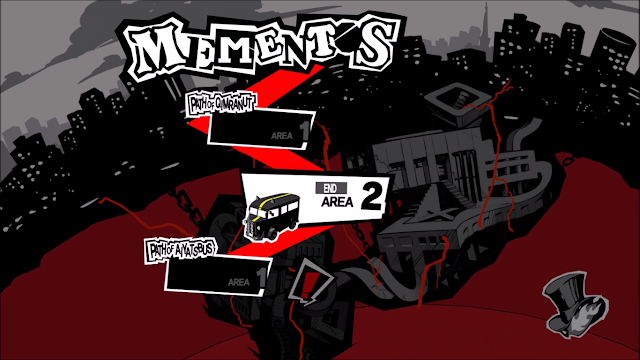 While the original Tartarus didn't feature a cat car to drive through in, Mementos’ constantly expanding nature reminded me a lot of the enjoyable Persona 3 dungeon experience and serves as a good, functional throwback to Persona’s old dungeon system. Weather may not be the most riveting topic in most cases, but the way Persona uses weather has always been fascinating to me, probably because I hadn’t experienced many weather mechanics like it until Persona 4 Golden. Persona 5 brings in a few new weather effects, such as Pollen Warnings and Rainy Seasons that can affect Shadows in Mementos, by making them less aware during Pollen season. 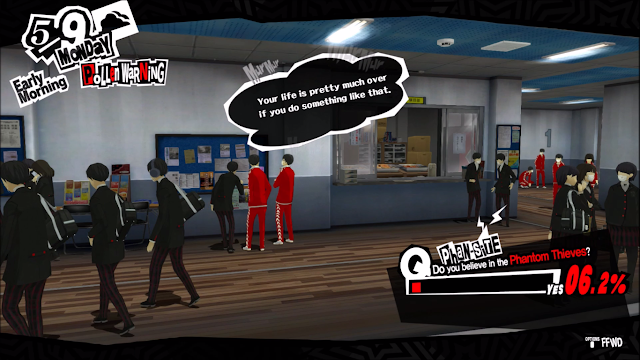 I particularly like this one on a personal level, as while I’m not a person who suffers from Pollen allergies, it is something I hear a lot of people talking in my everyday life in Tokyo, especially in April, so I got a little kick from seeing this in Persona 5’s version of Tokyo, as it strikes me as really realistic. Persona 5 is a decidedly stylish game, which is a fitting evolution of Persona’s previous stylish tendencies. I’m still regularly surprised at Persona 2’s occasionally plain menus and maps, despite featuring characters just as colourful as the current Persona cast. Between Persona 3 and particularly Persona 4, Persona’s stylishness seem to have been slowly growing, with Persona 4 being the biggest jump in style and Persona 5 having stylishness in every aspect of it. It’s evolved from stylish characters and music to eye catching menus and some of the coolest load screens I’ve ever seen in such a way that it’s pretty much a Calling Card for the series. 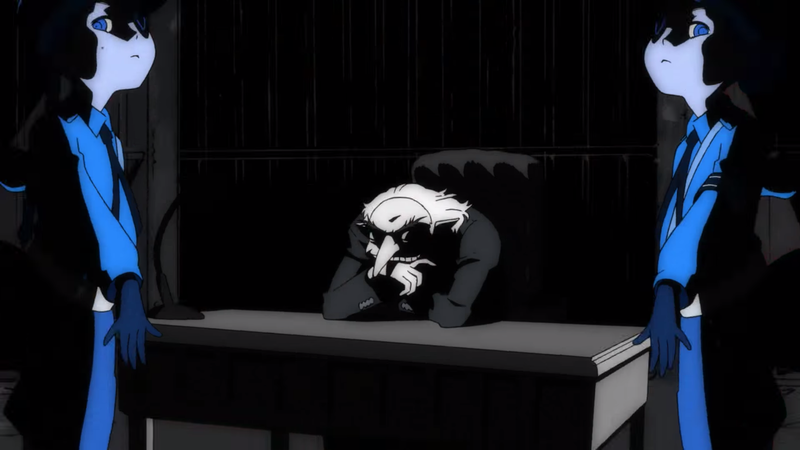 Persona 5 is so stylish in fact that I actually can’t imagine how Persona 6 will top it, but if Persona 5 has proven anything to me, it’s proven that a great series can continue to get even better every time. 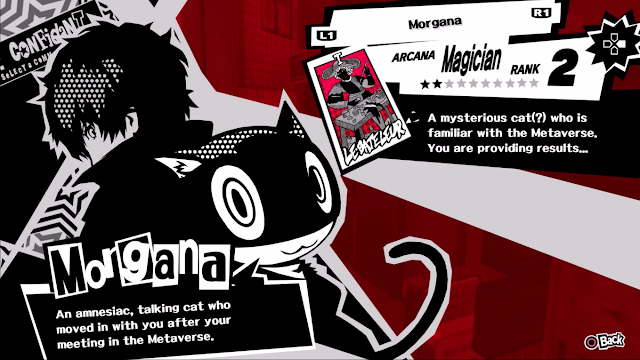 What updated mechanic did you like in Persona 5? What things keep you coming back to the Persona series in general?